Enzymes are often thought to be specific, catalyzing only one reaction in a cell (left). 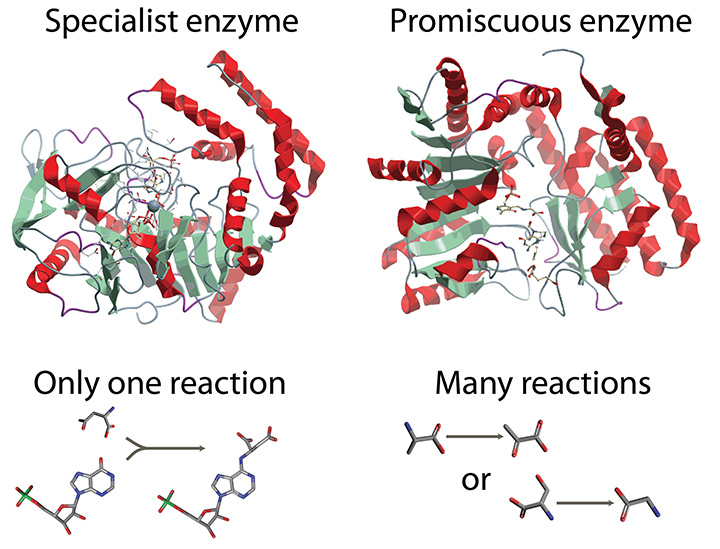 However, some more promiscuous enzymes have many functions and catalyze many reactions in a cell. This study shows that promiscuous enzymes play a larger part in cell growth than previously thought. Open an undergraduate biochemistry textbook and you will learn that enzymes are highly efficient and specific in catalyzing chemical reactions in living organisms, and that they evolved to this state from their “sloppy” and “promiscuous” ancestors to allow cells to grow more efficiently. This fundamental paradigm is being challenged in a new study by bioengineers at the University of California, San Diego, who reported in the journal Science what a few enzymologists have suspected for years: many enzymes are still pretty sloppy and promiscuous, catalyzing multiple chemical reactions in living cells, for reasons that were previously not well understood. Enzymes that are used more extensively by the organism need to be more efficient to avoid waste. To increase efficiency, they evolve to catalyze one specific metabolic reaction. 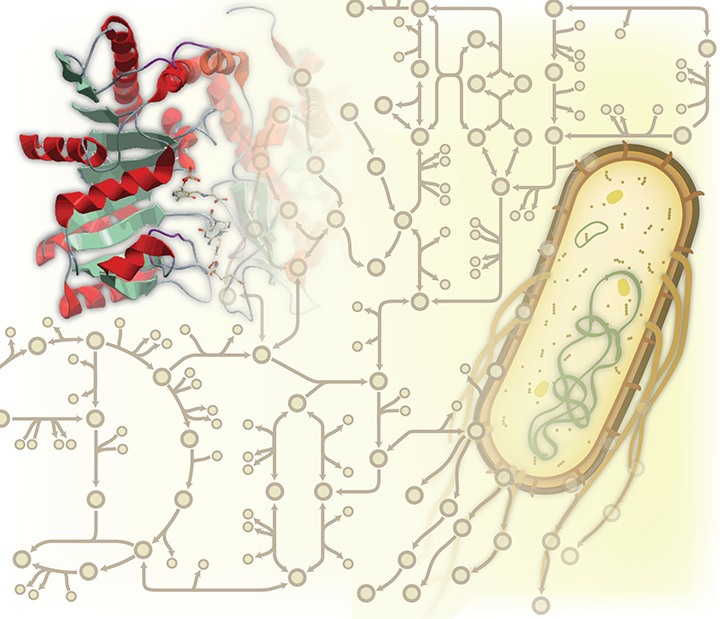 When enzymes are responsible for catalyzing reactions that are necessary for cell growth and survival, they are specific in order to avoid interference from molecules that are not needed for cell growth and survival. Each gene and protein in a cell has a function, and many of these functions are linked to each other. Thus, as organisms evolve, the collective functions of all genes and proteins in the cells influence the evolution of each gene or protein.